2011 Audi Q7 TDI quattro Prestige edition. This truck has only 107k miles and is covered by Audi engine and emissions warranty for 4 more years or 48k miles! 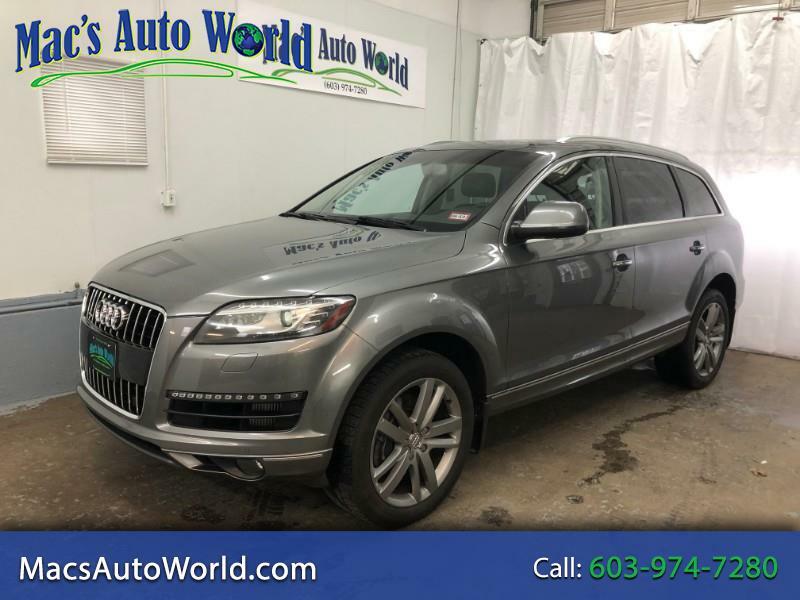 If you were looking for a Q7 and were shocked by the $60k-$70k price tag new, then this is the truck for you! Fully loaded with all the comfort options, heat and cooled seats, full power options, push button start, panoramic roof, phone connectivity, driver assist, NAV and too much more to list! This Audi gives you all the options you would even need at a fraction of the new price. This SUV has easy seating for the whole family with 3rd row seats, and easily can be folded away for extra cargo space. The truck is in excellent condition and has no scratches or dents anywhere in the paint and the interior is just as nice, with no signs of wear or stains whatsoever. We have fully serviced the Audi as well and it is approved for any of our extended plans on top of the Audi warranty. We offer competitive financing with credit unions and work easily with your bank as well so visit us at www.macsautoworld.com or stop by today for your new car!